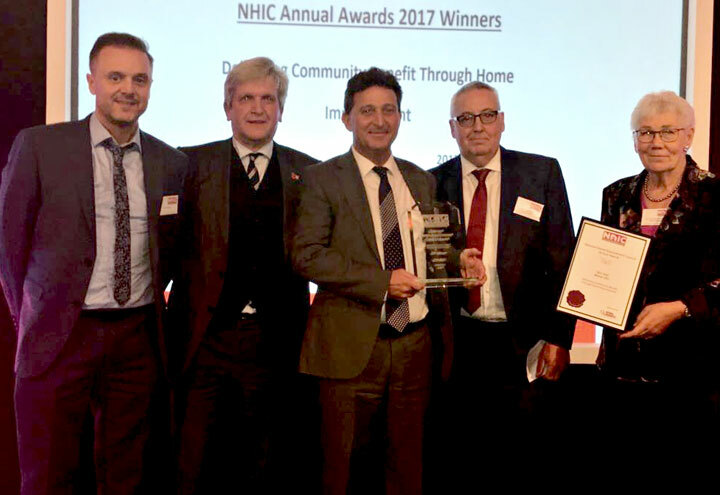 We’re proud to announce that we’ve completed a hat-trick of awards from the National Home Improvement Council (NHIC), by winning this year’s Community Benefit Award for our transformation of the West Cliff Theatre in Clacton-on-Sea. The award recognises our work to renovate the theatre as part of our Community Giveaway competition. As local home improvement specialists, we rewarded winners West Cliff with £10,000 worth of replacement windows. Providing a deserving face-lift for this beloved theatre. As part of Suffolk-based One Group Construction, we’ve also won the NHIC’s Best Glazing Project Award in 2014 and the 2015 Double Glazing with Community Benefit Award. This year sees us celebrating 45 years of trading across the region. To mark this milestone, we encouraged our customers to nominate their favourite community buildings that desperately needed our expertise. Hundreds of entries were reviewed before the West Cliff Theatre was named the winner. Mainly run by donations and volunteers, the theatre wasn’t able to fund the necessary improvements. As well as windows, doors and conservatories, we also specialises in luxury orangeries, replacement conservatory roofs and single-storey extensions. Get in touch if we can help with your home or community project.